Join us for the 36th annual Plains Indian Museum Powwow, a cultural celebration and competitive dance competition, on June 17 and 18, 2017. 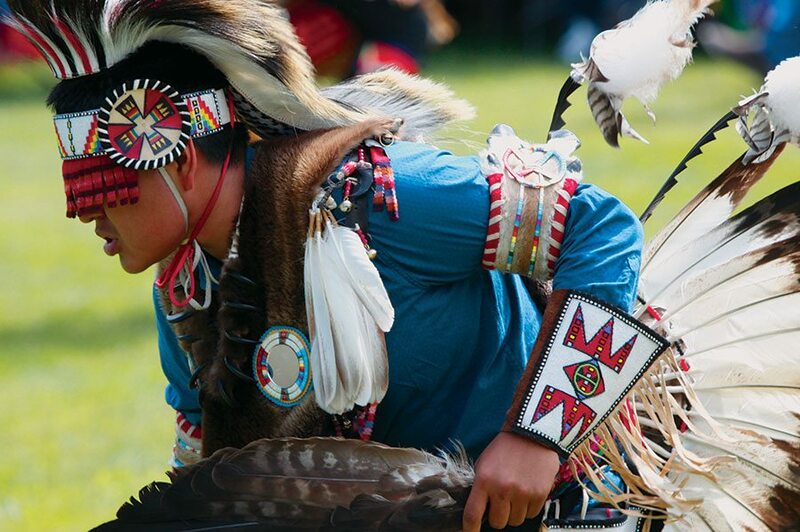 Powwow dancer D’andre Augustine, 2015. Photo by Ken Blackbird. June 17: Noon and 6 p.m.
Our powwow includes 47 vendors who sell arts and crafts made by enrolled members of North American Indian tribes and Nations. No food booths please. To apply to be a vendor at our 2017 Plains Indian Museum Powwow, download the application form to review all details, fill it out, and return it along with your deposit to Buffalo Bill Center of the West, ATTN: Hunter Old Elk, 720 Sheridan Avenue, Cody, Wyoming 82414. In 2016, the Plains Indian Museum Powwow was sponsored through the generous support of Choice Aviation; Artie Yellowstone Jewelry; Coca Cola Distributing of Cody, Hal and Amalia Ramser; Whole Foods Trading Company in Cody, Wyoming; and The Local.